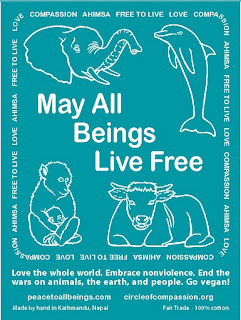 Peace to All Beings: Can Bill Gates Help Us Eat As Though the Earth Matters? Can Bill Gates Help Us Eat As Though the Earth Matters? My column is entitled "Eating as Though the Earth Matters"
And not just Bill Gates, but also Google co-founder Sergei Brin, Twitter co-founder Biz Stone, and many others. These wealthy individuals are willing to invest in companies that could help people transition to foods that are being developed to help end environmental devastation. They are investing millions in companies such as Beyond Meat, Impossible Foods, Hampton Creek, Modern Meadow, and Muufri. These visionary companies are using modern technology to create plant-based milk that tastes like animal milk, plant-based meat with the taste and texture of animal meat, and pea-derived eggs that taste like eggs. These are not your basic bean burgers and soy milks. These are foods that are mimicking meat, eggs, and dairy so well that billionaires are investing in them and expecting them to succeed. Josh Balk, co-founder of Hampton Creek, states, “Many socially conscious investors, including high-profile multi-billionaires, are seeking business solutions to climate change, food insecurity, disease, and other serious global problems.” They believe, says Balk, that “moving to a plant-based system is vital to that effort.” They also believe that they are offering something different from vegan brands like Tofurkey and Gardein. They have developed and continue to create foods that mimic the taste of animal products so well that most people cannot tell the difference. 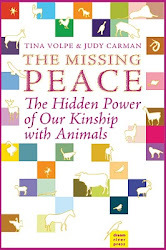 As we’ve discussed in this column over the years, animal agriculture is a major driving force behind deforestation; overuse of water; air, water and soil pollution; erosion; species extinction; habitat destruction; human starvation and disease, and the unrelenting violence involved in raising and killing millions of animals every single day. These investors want to do something about all that. But they, along with all of us, have realized that the progress we’ve made so far is too slow if we are to stop the rampant destruction of this precious planet upon which we all depend. The U.S. population is about 7% vegan and vegetarian. That is up from a decade ago, but the numbers are still too low. 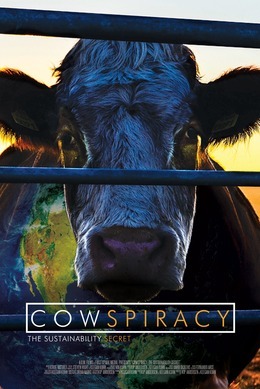 In one of his podcasts he interviews Keegan Kuhn and Kip Anderson, the makers of the documentary “Cowspiracy: The Sustainability Secret,” which has now gained Leonardo DiCaprio as an Executive Producer. DiCaprio has helped get the film on Netflix because he believes everyone on earth should see it. So if you have Netflix, please take the time to watch it, and if you don’t, you can purchase it at cowspiracy.com. . This thought provoking film challenges us all to understand that there is something huge, transformative, and powerful we can each do to heal the earth. And that something takes less effort than riding a bike to work—it is simply to stop eating animals and their eggs and milk. Now that these new companies are producing plant-based meat, dairy and eggs that are indistinguishable from the products that are taken from suffering animals, it is easier than ever to take this next important step and eat as though the earth matters. . The heart of veganism is the passionate desire to do no harm and as much good as possible in every area of life, not just in what we eat. As such, it includes dedication to all environmental and social justice causes When we look deeply at all the justice movements, we see the same desire. It is the desire to stop the violent and relentless destruction caused by profit and power-driven companies devoid of ethics. Each one of us must question everything we’ve been taught and even our own thoughts. In that way, we can stop our own participation in and support of these destructive companies. By boycotting animal agriculture, we stand in solidarity with nature, animals, and all people. We could never take enough short showers to equal the impact of our switching to a plant-based diet. Eating as though the earth matters just got a whole lot easier, so let’s get started. There’s no time to waste.